In April 1974 John Quayle and a group of friends set up a small club to provide leisure activities for people who were suffering from a mental handicap. 25 members turned up for the first meeting in the Gymnasium at the Glencrutchery Special School. In England a National Federation of Gateway Clubs had been established in 1966 with the object of creating a greater awareness of the needs of handicapped people and also to stimulate members and treat them as individuals who like anyone else require variety and flexibility in their lives. An application was made to join this National Federation and in June 1974 that application was approved and so the Manx Gateway Club was formed. The Club will therefore be celebrating 40 years of existence in 2014 and it now has over 100 members meeting on a weekly basis. After its registration it set up a management structure and obtained charity status in the Island. Alan Jackson , then of Manx Radio, was its first Chairman and John Quayle its first leader in charge of the activities provided for members. Hebron Dawson became its Secretary and Jane Fox its Treasurer. It has always relied on its helpers and was fortunate in the early days to have stalwarts such as Jack and Helen Quayle, Ralda Speed and many others as well as benefiting from the help of the Lady Masons. In addition to providing badminton, bowls and other sports it provided swimming in the Pool at Glencutchery as well as board games for those less active. Music and Dance have always featured highly in the demands of members. Since the opening of Centre 21, the Club has prospered and the facility has enabled it to provide more varied types of activities for its members. Arts and Crafts now feature as does computer training. A Drama section has been established and they put on two annual performances. A very special Carol Service takes place each year by the wonderful Gateway Choir. 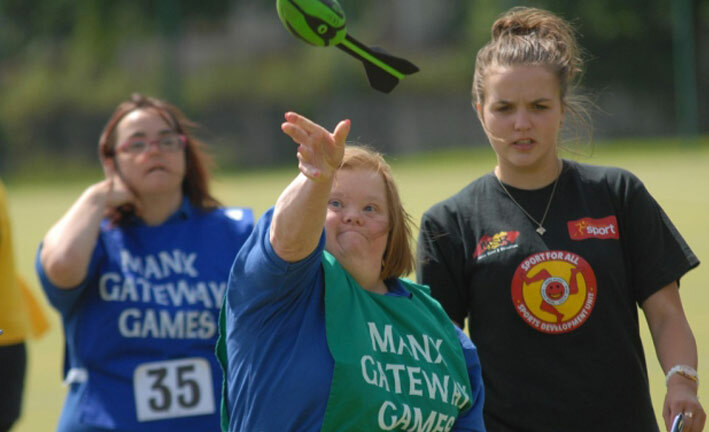 Another Annual event is the Gateway Games held every July since 2000 where members compete for medals in Athletics events, 5-a side football, bowls and swimming events.